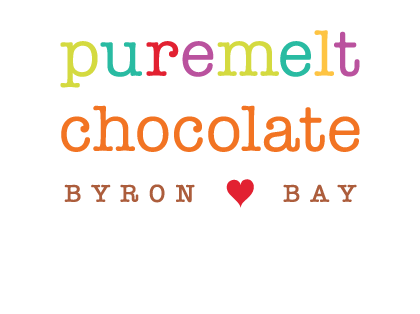 Puremelt Drinking Chocolate is made with just as much care and attention to detail as our award winning chocolates. 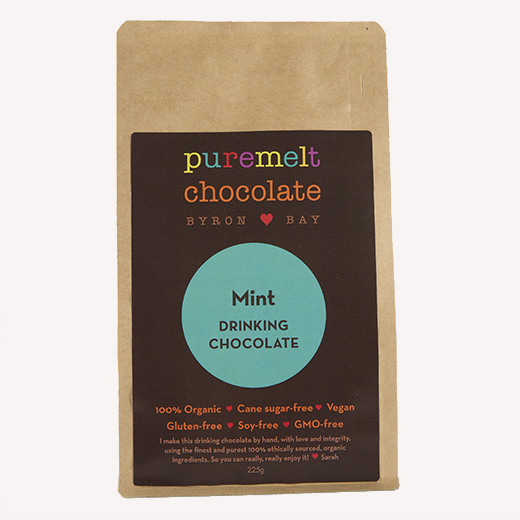 Nothing but the absolute best ingredients, are lovingly blended into a brew that is often times described by our customers as the ‘best drinking chocolate ever!’. 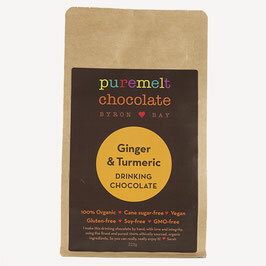 Pure Cacao, Mint, Orange, Ginger & Turmeric. 225g or 950g pack is available! 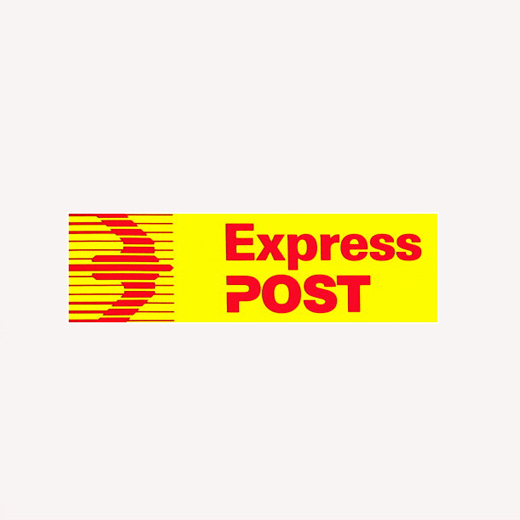 We take sustainably harvested, raw, organic, evaporated nectar from Indonesian coconut palms and blend it with raw, organic, cacao powder harvested from premium Criollo Cacao Beans grown in the Mayan region of southeast Mexico. The result, when mixed with warm milk of your choice is a rich, creamy, authentic drinking chocolate, that is low GI and full of antioxidants and other healthy molecules. Our alchemist and expert chocolatier Sarah has lovingly blended a range of additional flavours to warm you up on cold winter days or refresh you in the summer heat. 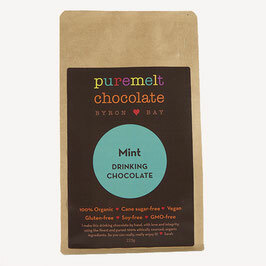 By infusing our Pure Cacao blend with organic therapeutic grade essential oil of Peppermint Sarah created a richly refreshing drink for hot and cold days. 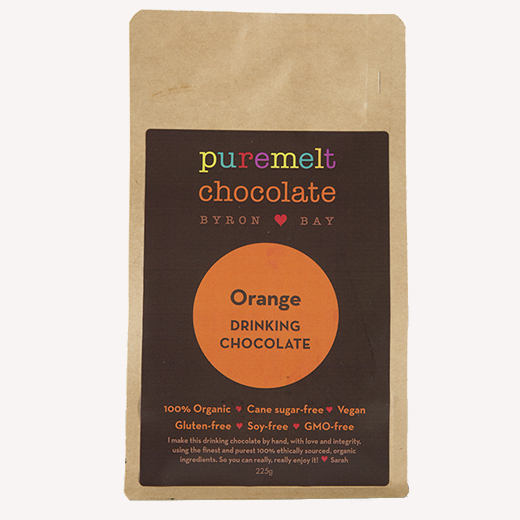 Everyone knows that chocolate and orange were made for each other. Especially the way that Sarah does it! The addition of Sweet Orange oil to our Pure Cacao blend is pure genius. Functional foods are important to those seeking optimum health and wellbeing. 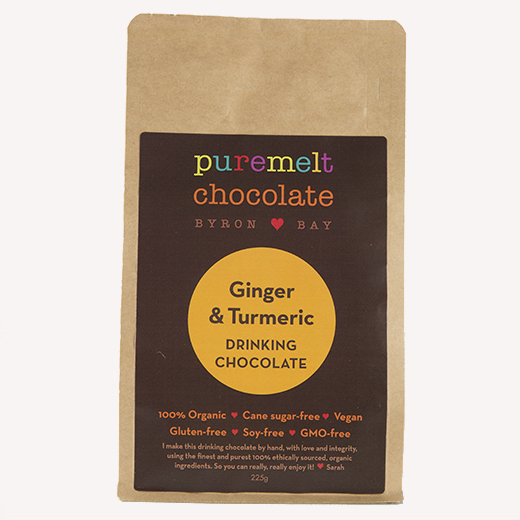 So, Sarah added organic turmeric, ginger and black pepper in just the right therapeutic ratio, to our Pure Cacao to create this winter’s stunning new addition to the line up - Puremelt Drinking Chocolate ‘Ginger and Turmeric’. 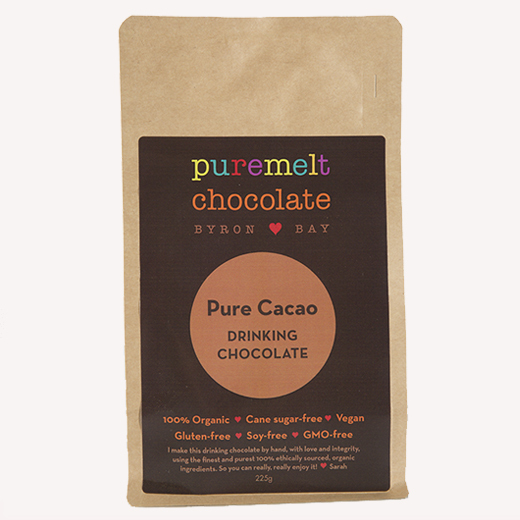 A delicious and nutritious drink that combines the benefits of raw cacao with those of turmeric and ginger - all magnified by black pepper which enhances the body’s uptake of the beneficial molecules.